MasterCraft Kitchen & Bath is a family-owned, award-winning Kitchen & Bath Contracting business that specializes in best-in-class brands and expert service and design. With over 33 years of experience in the business, John M. Toth, Inc., family owned and operated, is committed to offering high quality craftsmanship and exceptional service to our customers. 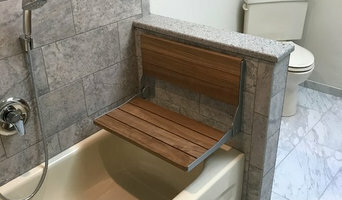 BKZ Contractors, Inc., a company established in 1990, has grown to become a company capable of completing a wide array of projects, from bathroom and kitchen renovation to small additions. R & R Custom Carpentry & Cabinetry is a general contracting business that specializes in performing custom carpentry services, renovations, additions, and remodeling services. Linton Hill Home Services Group Inc.
Home: The place in which one's domestic affections are centered. Domestic affections. A place for family & friends to gather, where memories are formed and engraved forever in our mind. Home is the most important space we spend. Our team will strategize to center in on those affections, one step at a time. Many clients feel over-whelmed with ideas. Or some have no idea where to start nor what they want. Linton Hill Home Services Group has the patience and ability to gather your thoughts and ideas (no matter how muddled they appear in your head) to make it a reality. We are a husband-wife team who offer our project management services for your home renovation project or needed services. Our home services run wide from specialized kitchen renovations to monthly lawn services to snow plowing and gutter cleaning. You can be a one-time client or a patron, like our aging in place clients who want to stay in their homes, not paying extra-ordinary monthly fees in a 55-over community. We take joy in designing distinctive kitchens, baths, and additions that are both beautiful and functional for our clients. 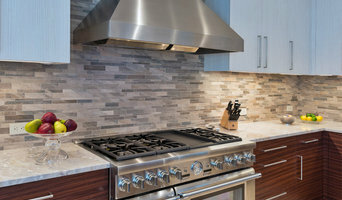 At HomeTech Renovations Inc., we help you create a new space or remodel. From custom homes to quality renovations, we handle everything for you, on time and on budget. We are currently celebrating our 12th year of providing home improvement services to the Delaware Valley. Over the last 30 plus years, Rolf Schroeder has been built around professionalism, reputation, integrity, and dedication. We offer the knowledge & experience to complete any home remodeling project. The team at Rost Artisan Builders will assist you in designing and constructing your dream home or addition, as well as complete custom renovations. 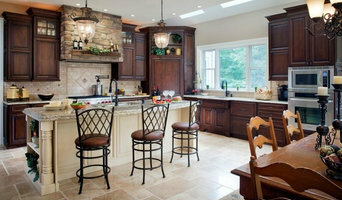 Canaan Cabinetry Inc. has been designing and installing beautiful and functional kitchens since 1982. We specialize in kitchen and bathroom remodels, sales and design services. Remodeling Concepts helps customers by offering the best kitchen remodeling, bathroom remodeling, siding, roofing, windows, doors and commercial services. Fascella Construction Corp. has been creating homes since 1990, and is a "One Stop Shop." We strive to exceed your expectations and find it crucial to balance quality and cost-effectiveness. Our full service design and remodeling construction company will handle every single aspect of your project, whether requesting renovations or additions. 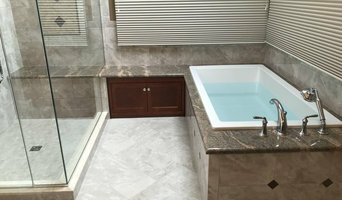 Whether the project is an addition or a bathroom remodel, Patterson Construction promises to provide the client with the most upscale of services with attention to detail and quality craftsmanship.